Happy New Year! 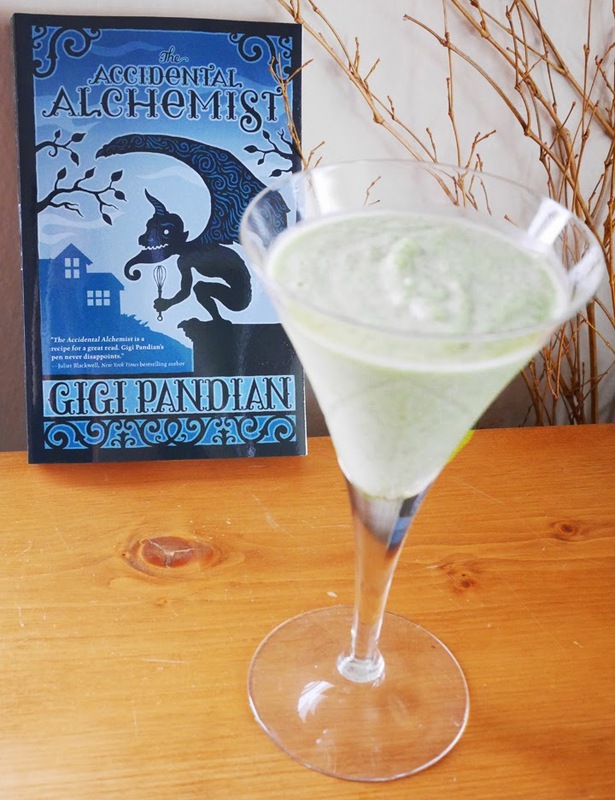 Since it's time for New Year's resolutions to kick in full swing, today we thought we'd recap three terrific Drinks with Reads Smoothies. Peel and chop the mango and blend with the silken tofu, leaving some chunks aside. Put the blended mixture in the freezer for a couple of hours then blend again, with the tequila, and add the reserved chunks. 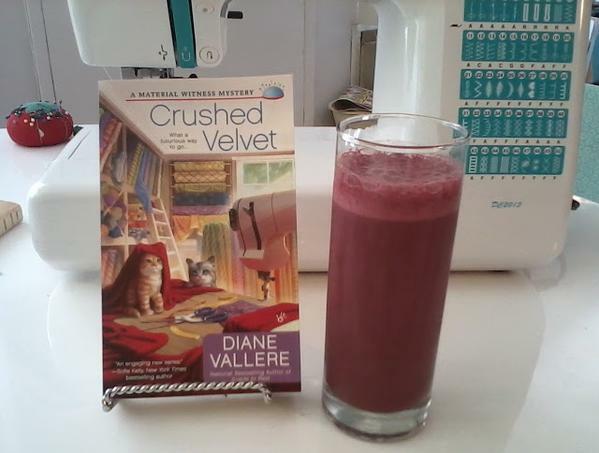 Our second smoothies is the Red Velvet Smoothie matched with Diane Vallere's book, Crushed Velvet. In The Accidental Alchemist, from Midnight Ink: Unpacking her belongings in her new hometown of Portland, Oregon, herbalist and reformed alchemist Zoe Faust can’t help but notice she’s picked up a stowaway. Dorian Robert-Houdin is a living, breathing three-and-a-half-foot gargoyle—not to mention a master of French cuisine—and he needs Zoe’s expertise to decipher a centuries-old text that holds the key to mysteries past and present. Toss all of the ingredients into a blender. If you’ve got a high-speed blender like a Vitamix, blending will take around 30 seconds. Other blenders work just fine, but will take a couple of minutes longer. Makes 1 large breakfast-sized smoothie or two small smoothies. You can use fresh greens -- such as broccoli, kale, or spinach -- instead of frozen broccoli, but those will make the smoothie less sweet. You can also substitute the pear for a green apple, but that’ll make for a tarter drink. If you use cocoa powder in place of cacao nibs, your “green” smoothie will turn the color of a chocolate milkshake. Can’t find coconut water but want some added sweetness? Substitute a little of your favorite sweetener, such as a teaspoon of honey. Vitamin tea or Green energy drinks are what I take before breakfast every day. 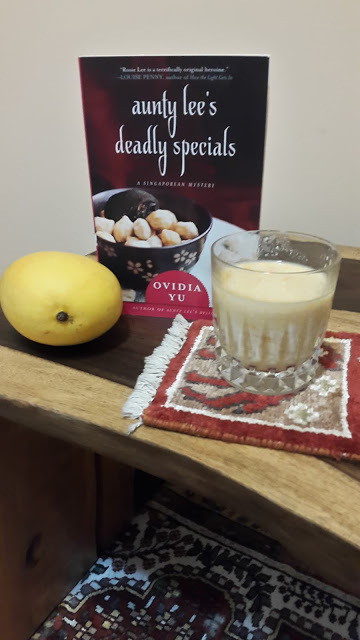 I make a smoothie with wild blueberries, fresh ground Flax seed and juice or other tea, and add a banana and this is what I have to start my day.